Our Mission is to help the extreme poor in Bon-Repos, Haiti attain independence and whole life improvement through education while retaining the spirit of Haitian culture. 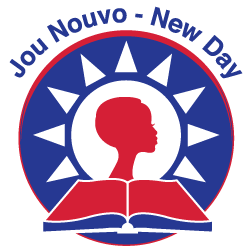 The Jou Nouvo team believes that to achieve sustainable economic development, it is critically important to build a foundation of support through a grassroots community effort that provides basic living necessities, educational opportunities and entrepreneurial training. through education while retaining the spirit of Haitian culture.